Punch Head is an app that does what it says on the tin. It lets you pick up a picture of someone’s head and well, punch and kick it while it yelps and screams. Of course when we say punch and kick, we mean tap your iPhone screen to simulate the effect of punching someone. While it’s a well-made app, Punch-Head is another reason not to give iPhones to children… the potential for cyber-bullying with this makes me a bit nervous about it. 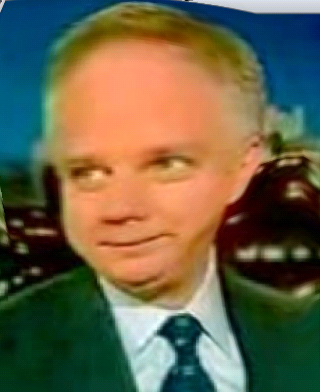 However, after initially thinking there wasn’t anybody I wanted to punch in the head, I chose an image of Glenn Beck, screengrabbed from the internet. That’s him below, after I had a dealing with him. – Nice interface, the picture responds to the touch well. There are sound-effect screams which also tally pretty well to what you’re doing on the touchscreen. – Getting distorted pictures of stuff is quite cute. In a way. You can save the distorted images and email them to friends. – I just feel Punch-head has a hint of the voodoo doll about it and encourages violence. – I also object to the example punch-head given on the website, which clearly shows a young man wearing glasses, ie a geek. BEATING UP GEEKS ISN’T FUNNY. Conclusion: It’s a funny app and works well. Just keep it away from kids prone to psychological or physical violence. Punch-Head is £1.19 from iTunes. Getting distorted pictures of stuff is quite cute. In a way. You can save the distorted images and email them to friends. A rip off of ‘picture punch’! picture punch lets you tweet,email and facebook the images when you’re done, this doesn’t!